Not being able to travel to a conference doesn’t mean you can’t take part in it. Join our enthusiastic team on an incredible journey through the world of online professional development and get the chance to gain 5 credit points by participating in two free face-to-face teacher development workshops organised by IATEFL-Hungary and the British Council. Teachers of English from all over the world will meet to discuss what's new in English language teaching at the 46th IATEFL conference in Glasgow, Scotland between 19 and 23 March 2012. The British Council is again teaming up with IATEFL to give you an opportunity to follow this inspiring conference from the comfort of your home: visit the Glasgow Online website, watch live sessions, video interviews and join the debate. 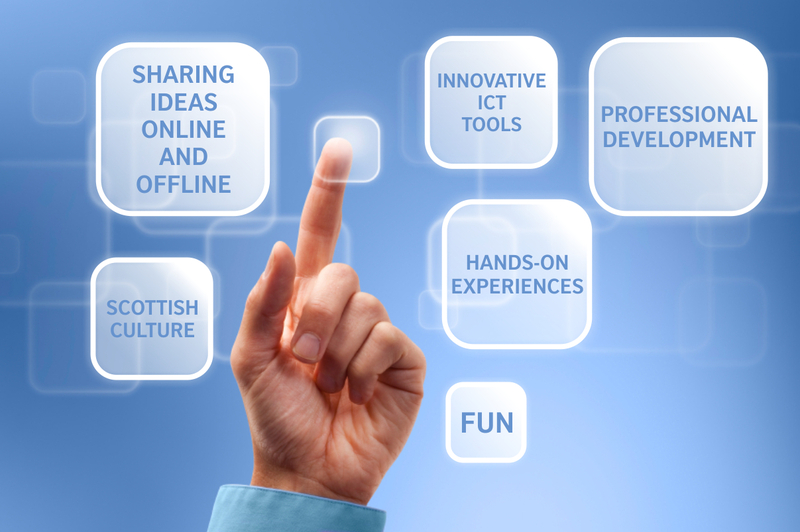 Participate in our free workshops before or/and after the Glasgow conference to find out how you can make the most of the Glasgow Online website; increase your confidence in using other online and mobile professional development tools; share tips and ideas to use ICT tools in your classroom and get a taste of Scottish culture… well, quite literally. Facilitated by Nóra Tartsay and everyone wishing to contribute. Please note that you can register for any of the face-to-face events (i.e. Pre-workshop and After Party). However, you will only receive 5 credit points if you register for both events.